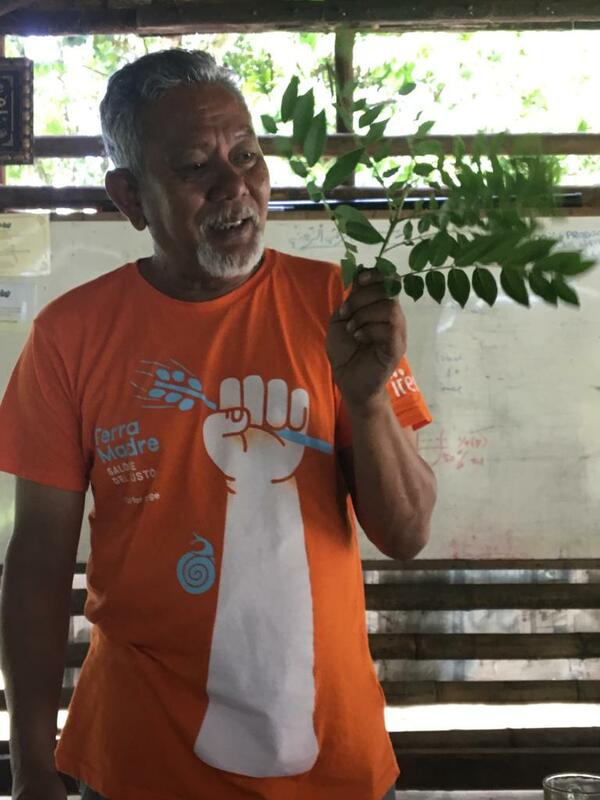 For the final day of Thank a Farmer month, we want to acknowledge the work of ‘Captain’ Zakaria Kamantasha and his crew at Sri Lovely organic rice farm in Kedah, Malaysia, which recently became the first registered Slow Food Community in South East Asia. 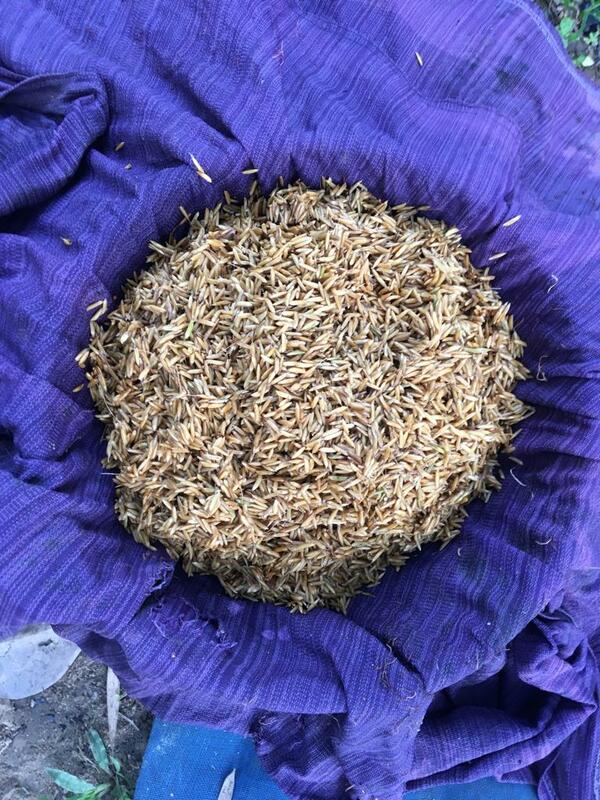 Following the principles of SRI (System of Rice/Root Intensification), Sri Lovely grow various types of traditional Malaysian rice, including some dying indigenous species from a local seed bank. It is the only certified organic rice farm in Malaysia — but the man who started it all hopes that this will not be the case for long. Zakariah Kamantasha hasn’t always been a farmer. After spending 15 years in the Malaysian army he ran a high-end tourist charter boat on Langkawi Island for 5 years, where he picked up the name he most commonly goes by, ‘Captain’ (his military rank was Major). Wanting to do something to improve the lives and opportunities of the rural population — in particular to help stem the exodus of young people to urban areas — he started this organic rice farm project just outside his wife’s home village of Belantik, Kedah, in 2009. The ‘perimeter’ is not only a terminological remnant of Captain’s military days, it is a method of organic pest control practiced at Sri Lovely. By planting the edges of rice paddies with plants, trees and flowers that are more enticing to would-be pests than the rice plants are, fewer bugs, birds, and insects bother breaking past the perimeter to the less attractive rice plot. This encourages healthy populations of local species and helps to maintain natural predator-prey relationships. That philosophy of understanding and using what is around you is also evident in Sri Lovely’s approach to plant nutrition. They only use natural fertilizers they have made themselves: local glaceriya leaves for nitrogen, rotten dates leftover from Ramadan for potassium, and baby bamboo shoots for phosphorus, for example. Like all other processes on the farm, there is a lot of trial, error, and tinkering to figure out what works best. Traditionally, farmers have been some of our greatest innovators; but reliance on chemicals, industrial practices and monocultures has sapped a lot of creativity out of agriculture. That is one reason why Captain champions SRI, or System of Rice Intensification, a set of organic farming principles (developed by Jesuit monks in Madagascar in the early 1980s) which encourages farmers to be creative, innovative, experimental, and adaptive to local conditions. Although much more labor intensive, SRI uses significantly fewer inputs than conventional rice farming: instead of parachuting or broadcasting seeds, SRI plots are hand-planted in gridded rows, at least 25 cm apart, so each plant receives more sunlight. 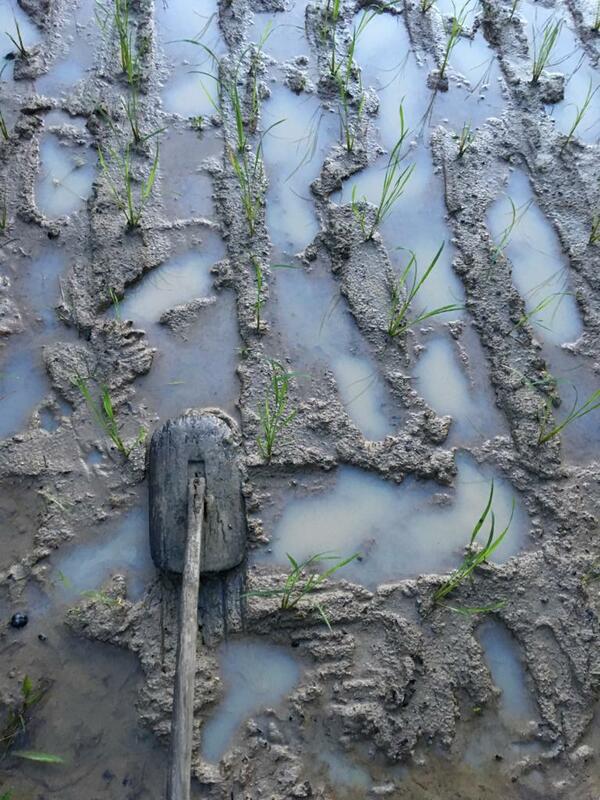 This also makes it possible to weed by hand, instead of flooding the rice paddy (which kills not only weeds but also worms, insects, and micro-organisms essential for maintaining healthy soil). Better yet, this system helps to combat carbon emissions — the most damaging emissions from global rice farming come from methane gas created from the decomposition of those soil organisms killed when the paddy is flooded. The results of the SRI method are impressive, increasing per-plant productivity, improving plant and soil health, yet reducing external inputs such as water and seeds. By encouraging the plant’s natural defenses and tendencies, SRI crops are also better protected against changing weather patterns and unusual climactic events. Captain is always teaching and sharing his knowledge. 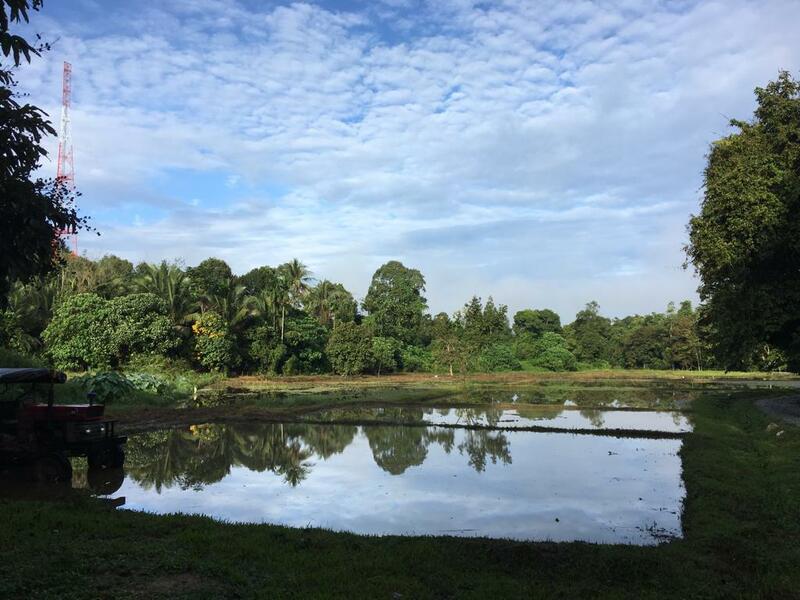 He is often away giving talks, but the farm is also a place of learning: later this month dozens of farmers from around Malaysia will come for the Farmer Field School, an initiative aimed at upscaling agrobiodiversity through SRI. And from 2019, Sri Lovely will be an official government-endorsed Organic Research and Training Centre, hosting 20 farmers and farming students for 6 months of immersive learning focused on integrated farming. With the support of the Kedah Department of Agriculture, those who complete the course but do not have their own land to farm will be given an area of arable land to grow organic, integrated crops. Becoming a Slow Food Community will hopefully help to keep momentum going for Sri Lovely, too. Feeling part of a global network empowers Captain to push for more change at home, at the grassroots level. 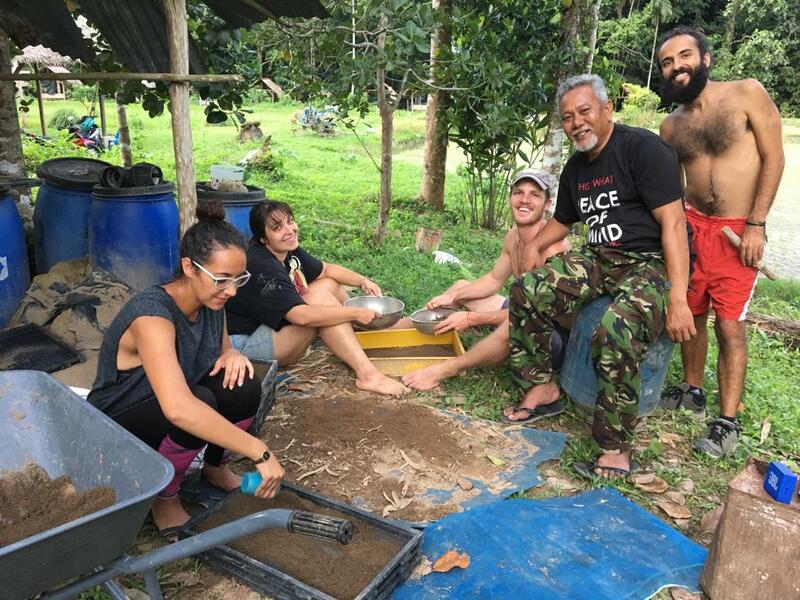 He loved attending Terra Madre Salone del Gusto 2018, learning from others around the world and sharing with farmers and government officials back in Malaysia to show that they are not alone in trying to improve agriculture and food supply. The Slow Food Community designation, rather than the more broad presidia and convivia models, should allow for more specific focus on the day-to-day practices on the farm, and hopefully it will give Sri Lovely a viable channel for specific support in the near future. Captain’s fundamental goal is to strengthen rural communities. To restore pride and stability to local farmers. He knows that people want to fix the farming system, and he is convinced that people will believe organic farming is the best way to do so once they see the results. He is hopeful that Kedah will become a hub of sustainable, organic agriculture, and from there be an example for positive change everywhere.